Yuriy Pomortsev is russian a jeweller, lithographer, graphic artist. 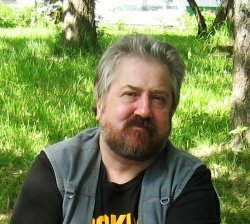 He is a member annual local exhibitions "Artists of Zelenogorsk" since 1995. His artwork were also exhibited in St. Petersburg, Pushkin, Sestroretsk, Kronshtadt, Pavlovsk, Järvenpää (Finnland). 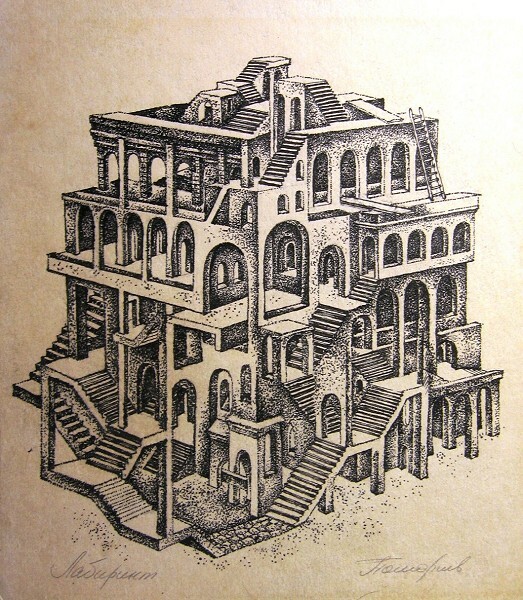 Below, you can see impossible architecture in Escher style.